Marketing, I suspect, was first employed by those in the business of religion, as proponents set about selling belief in an invisible entity to those around them. That twenty first century ‘materialism’ should endower products with such intangibles as soul (Randazzo in Urde, 2009, p 621), through conceptual references to branding, is no surprise on this basis. In this critical review of ethical and sustainable branding in theory and practice, I will seek to identify some of the core issues. Human beings are inclined to imbue material objects with anthropomorphic characteristics, we have been doing it for millennia via our religious and cultural beliefs. Brands, accordingly, have intangibles such as, health, soul, and personality (de Chematony, 2010, p 431). In addition to their tangible inventory of trade-mark, logo and product (de Chematony, 2010, pp 418-419). Sustainable Branding: The word ‘sustainable’ has two clear definitions: 1. “able to be maintained at a certain rate or level.” 2. 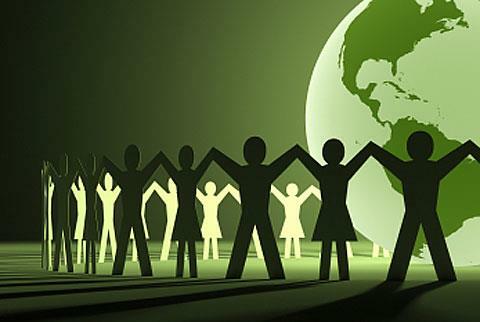 “able to be upheld or defended.” (https://en.oxforddictionaries.com/definition/sustainable , 2017) The word ‘sustainability’ has entered modern lexical usage in response to the perceived looming environmental crises of global warming and diminishing energy resources. Sustainable branding, therefore, has taken meaning from all these contextual references to include economic, environmental and humanitarian perspectives. Ethical Branding: The term ‘ethical’ is defined as “Relating to moral principles or the branch of knowledge dealing with these.” (https://en.oxforddictionaries.com/definition/ethical , 2017) Ethical branding considers a brand in light of its overall behaviour in the realms of societal good and bad (Ying, 2005, p 3). Brands have been traditionally evaluated on their economic worth – Financial-Based Brand Equity (FBBE). In the twenty first century, brands are now, also, being adjudged on their ethical behaviour, locally and globally. Brand equity, as a term, emerged in the 1980s, following the development of brand image and its consequent value from the 1950s onwards (Noor, 2011, p 24). FBBE seeks to measure the “worth of brands as separable assets”; and a variety of ways of achieving this have been developed (Noor, 2011, p 25). Methods include: Interbrand’s brand valuation; Srinivasan’s survey-based method; and Simon and Sullivan’s financial market estimates of brand-generated profits. Customer-Based Brand Equity (CBBE) attempts to perceive the value of a brand to consumers. CBBE forms a “theoretical framework” to elucidate the range of consumer responses to a brand (Noor, 2011, p 27). Again, several techniques have emerged to measure this, which include: Total Research’s EquiTrend; Young and Rubicam’s Brand Asset Valuator; and Ambler’s Consumer Metrics. It could be said that FBBE was developed by accountants to decipher the dollar value of a brand, whereas CBBE serves the marketing department in its desire to provide CEOs with metrics to evaluate the effectiveness of their activities. There is always a scholarly desire to turn the social sciences into pure sciences, with their indisputable language of mathematics. It is impossible, however, to extract the arbitrary behaviour of human beings out of the equation when it comes to marketing. The FBBE level is important for a brand’s economic sustainability toward its stake holders: corporate employees; shareholders; and customers. A financially robust brand maintains confidence and security for those that manufacture it, distribute it, and purchase it. Brand valuations are included on balance sheets, when acquired through corporate transactions (Noor, 2011, p 34). Wal-Mart has been identified consistently for many years, as one of the world’s most admired companies and brands. This has been on the basis of its economic performance and consumer confidence in the brand (Palazzo, 2007, p 333). CBBE considers concepts like ‘brand health’. Brand health metrics include: consumer familiarity; brand penetration; consumer opinions and feelings toward the brand; loyalty; and availability (Noor, 2011, p 35). A sustainable brand must measure up on these bases. Then, there are factors like brand management and corporate image to consider (Nasruddin, 2007, p 83). The Internet and its child, Social Media, have made the world a smaller place. Companies and corporations find it much harder to keep their behaviour, in all its forms, from public scrutiny. Ethical branding is heavily influenced by corporate reputation (Ying, 2005, p 11). Corporate Social Responsibility (CSR) is the number one determiner in this equation (Nasruddin, 2007, p 83). It is not enough to make a good product; all facets of the business must be adjudged to be in the public good to succeed in today’s environment. Brands cannot be divorced from their circumstances, each impact upon the other. Consumers have, since the 1990s, incorporated ethical considerations into their purchasing decisions more and more (Crane, 2000, p 361). The Body Shop was an innovator in this ethical marketing approach. Offshore manufacturing and servicing from the 1980s onwards, has seen western corporations face scrutiny over the labour conditions in their third world factories and sweat shops; cheap labour can come at a high price for global brands like the Apple IPhone (Bilton, 2014, http://www.bbc.com/news/business-30532463). Commitment to a global economy is seeing manufacturing jobs disappearing from the west and causing dislocation and unemployment (Markides, 1998, https://hbr.org/1988/09/manufacturing-offshore-is-bad-business ). Consumer backlashes against brands and companies who have moved offshore have occurred (Legrain, 2010, http://bit.ly/2hHhsZI). Naomi Klein’s seminal publication, No Logo, captured and defined the public backlash against the prevalence of corporate branding globally (http://www.naomiklein.org/no-logo , 2017). She raised issues like: corporate censorship; offshore sweatshops; and dominant brands reducing consumer choice. British Petroleum (BP) employed what is known as ‘greenwashing’ prior to its Deepwater Horizon oil spill disaster in 2010 (Frick, 2014, https://hbr.org/2014/02/study-green-advertising-helped-bp-recover-from-the-deepwater-horizon-spill ). Their “Beyond Petroleum” campaign ran from 2000 to 2008; and a working paper from the National Bureau of Research in the US measured its effect on the corporation’s economic performance post disaster. It found that its green advertising served as a mitigating influence on the consumer backlash against BP. These big budget, seemingly, unfocused corporate commercials do have an ulterior purpose; and they are effective in framing a branding message to the public (Aaker, 2013, pp 22-23). In this instance, it framed BP as a brand beyond sourcing and selling petrol and reframed BP as part of the next evolution in energy resources. Money talks via marketing, if it is well spent; and if those corporate pockets are deep enough. Particularly in the US, where advertising and marketing is rampant across all media channels and platforms. In 2016, in excess of $US190 billion were spent on advertising in the US (https://www.statista.com/statistics/273736/advertising-expenditure-in-the-worlds-largest-ad-markets/ , 2016). The scholarly recognition of a common-sense concept such as a ‘track record’, when it comes to evaluating a sustainable brand, has merit beyond much of the jargon based terminology. Advertising and marketing, often, seek to manipulate perception in the marketplace by framing brands within contexts, which may not be verifiable (Aaker, 2013, p 22). It does not always work, but there is a paucity of effective regulatory restrictions, especially in the US (https://www.ftc.gov/tips-advice/business-center/advertising-and-marketing , 2017). The canny consumer will pay attention to the track record of a corporate brand in the marketplace (Urde, 2009, p 616). Urde identifies the car maker Volvo as an example of a sustainable brand with a track record for “quality, safety and environment” (Urde, 2009, p 617). This company has established these three brand core values and backed them up with a sustained performance via their CSR. An interesting contrast to this is the recent Volkswagen (VW) diesel debacle, when an employed engineer falsified emission test results. This has cost the company around 20 billion euros and resulted in the recall of 11 million cars globally (Reuters, https://www.cnbc.com/2017/09/29/vw-takes-new-3-billion-hit-over-diesel-emissions-scandal.html, 29 Sept. 2017) . The damage to the VW brand in the long term is the more serious cost, as this corporate car brand is tarnished as unethical, when it comes to the socially important issue of air pollution and the environment. The call for brand governance, and greater accountability and responsibility, recognises the, sometimes, diverse network involved in decisions, which effect brand management (Hill, 2005, http://www.bizcommunity.com/Article/196/82/5536.html). Do brand managers require the support of an independent set of standards to alleviate the pressure exerted by manufacturers and distributors, and their responsibility to consumers? It sounds suspiciously so, as short-term demands can derail long term goals (Herstein, 2011, p 204). Ethical behaviour and social responsibility are at the heart of good brand governance; and developing a framework for this could help brand managers, globally, to maintain sustainable and ethical brands. The literature around sustainable and ethical branding theory confirms its, now, integral role for global brands in the twenty first century. Branding, in all its anthropomorphic glory, has grown-up from its child-like emergence in the first half of the twentieth century, when it was care-free to claim all sorts of outlandish untruths as real, to, now, be weighted down with the social responsibilities of adulthood, where its every move is scrutinised. Ethical branding and ‘greenwashing’ are the two poles in this paradigm. CSR continues to weigh heavily when consumers adjudge brands. Aaker, David, “From Positioning to Framing”, Marketing News, Vol. 47, Issue 1, pp 22-23. Bilton, Richard, “Apple ‘Failing to Protect Chinese Factory Workers’”, Retrieved from http://www.bbc.com/news/business-30532463 , Viewed 5th November 2017. Crane, Andrew, “Unpacking the Ethical Product”, Journal of Business Ethics, Vol. 30, Issue 4, pp 361-373. De Chernatony, Leslie, “Defining A Brand: Beyond the Literature with Experts’ Interpretations”, Journal of Marketing Management, Vol. 14, Issue 5, pp 417-443. Fan, Ying, “Ethical Branding and Corporate Reputation”, Corporate Communications: An International Journal, Vol. 10, No. 4, (2005), pp 341-350. Federal Trade Commission, Retrieved from https://www.ftc.gov/tips-advice/business-center/advertising-and-marketing , Viewed 5th November 2017. Frick, Walter, “Spill”, Harvard Business Review, Retrieved from https://hbr.org/2014/02/study-green-advertising-helped-bp-recover-from-the-deepwater-horizon-spill , (2014), Viewed 3rd November 2017. Herstein, Ram, “Brand Management Perspectives in the Twenty-First Century”, Qualitive Market Research: An International Journal, Vol. 14, Issue 2, pp 188-206. Hill, Rob, “Isn’t It Time for Brand Governance?”, (2005), Retrieved from http://www.bizcommunity.com/Article/196/82/5536.html , Viewed 5th November 2017. Keller, K, Strategic Brand Management: Building, Measuring, and Managing Brand Equity, 4th edition, (Pearson, 2013). Klein, Naomi, Retrieved from http://www.naomiklein.org/no-logo , Viewed 3rd November 2017. Legrain, Phillippe, Aftershock: Reshaping the World Economy after the Crisis, (Hachette, 2010). Markides, Constantinos, “Manufacturing Offshore Is Bad Business”, Harvard Business Review, (1998), Retrieved from https://hbr.org/1988/09/manufacturing-offshore-is-bad-business , Viewed 4th November 2017. Nasruddin, Ellisha, “The Yin and Yang of CSR Ethical Branding”, Asian Academy of Management Journal, Vol. 12, No. 2, pp 83-100. Noor, S, “Brand Equity: Linking financial and customer perspectives”, in Perspectives on Brand Management, (editor) MD, Uncles, 1st ed. (2011), pp 23-29. Oxford Dictionary, Retrieved from https://en.oxforddictionaries.com/definition/sustainable , Viewed 31st October 2017. Palazzo, Guido, “The Ethical Backlash of Corporate Branding”, Journal of Business Ethics, Vol. 73, Issue 4, pp 333-346. Reuters, Retrieved from https://www.cnbc.com/2017/09/29/vw-takes-new-3-billion-hit-over-diesel-emissions-scandal.html , 29th September 2017, Viewed 3rd November 2017. The Statistics Portal, Retrieved from https://www.statista.com/statistics/273736/advertising-expenditure-in-the-worlds-largest-ad-markets/ , (2016), Viewed 4th November 2017. Urde, Mats, “Uncovering the Corporate Brand’s Core Values”, Management Decision, Vol. 47, Issue 4, (2009), pp 616-638.